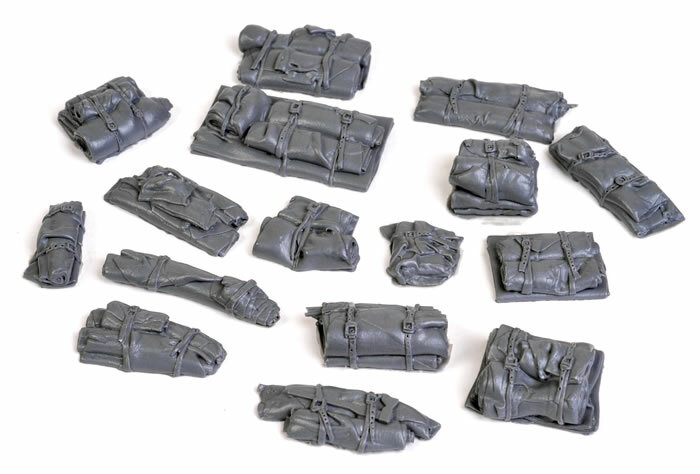 Value Gear is a new company specialising in creating unique sets of stowage for 1:35 scale military vehicles. 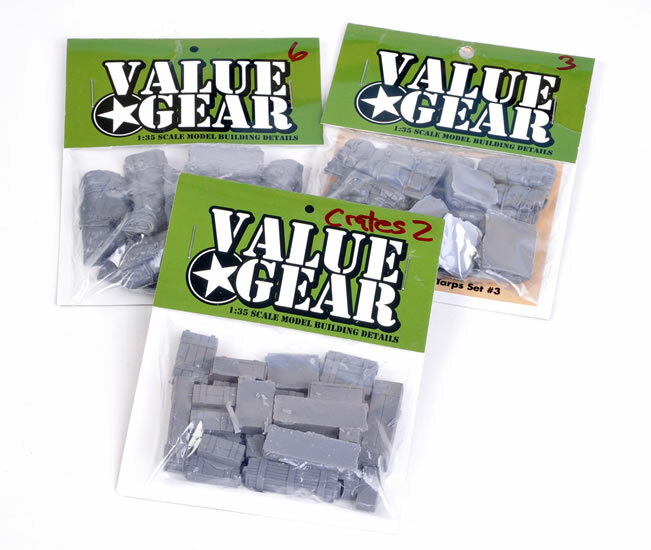 Value Gear’s stated mission is to give your vehicles more variety. 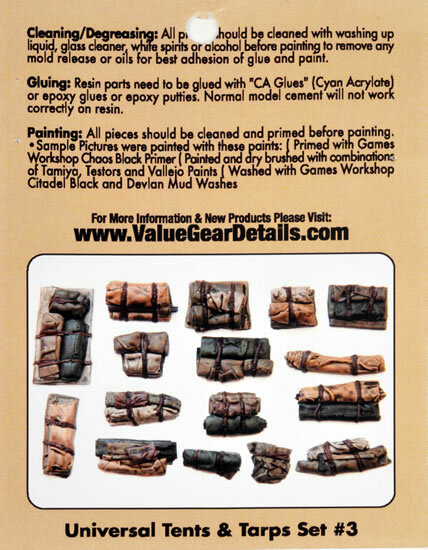 They do this by creating sets of resin stowage where no two pieces are the same. So far, Value Gear has released six sets of Tents and Tarps, and two sets of Crates. The first set under review is Tents and Tarps Set 3. This contains 16 unique sets of packs and tarps, all with straps and some including tools bundled in place. Tents and Tarps Set 6 is presented along the same lines, but with totally different combinations of packs, tents and folded tarpaulins, each created from a unique master. The third set for review includes wooden 22 crates presented in four different shapes and sizes. 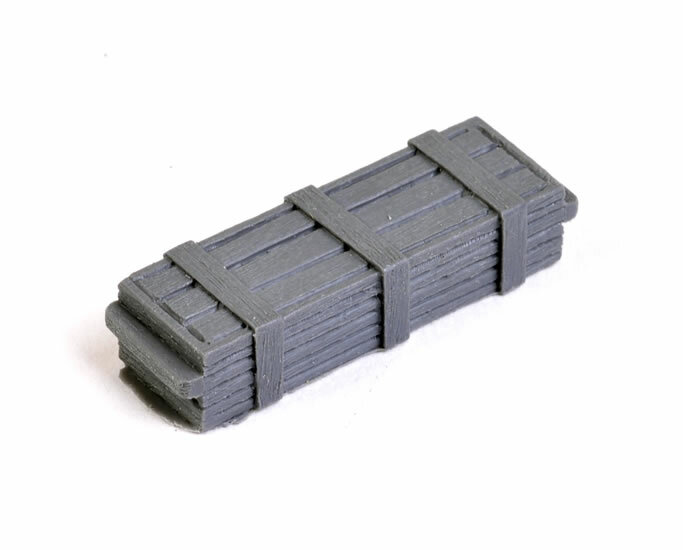 Although the styles are the same, each and every crate in this set is individual. 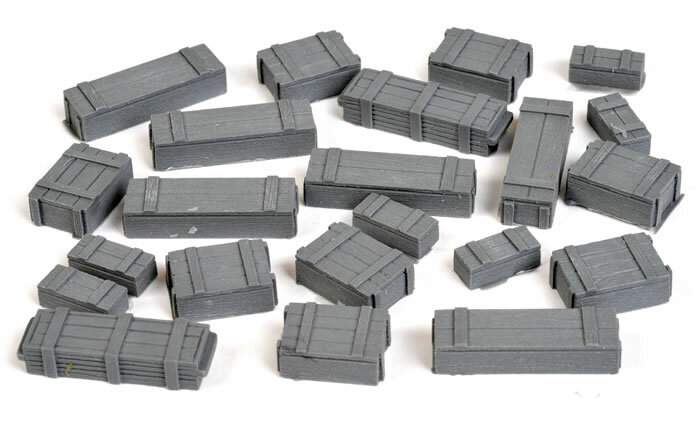 Some of these will be suitable for ammunition crates, and with 22 resin pieces in this set, there will be more than enough for several vehicles. Casting quality for all three sets is excellent. Cleanup will be minimal too, as there is very little in the way of resin waste. 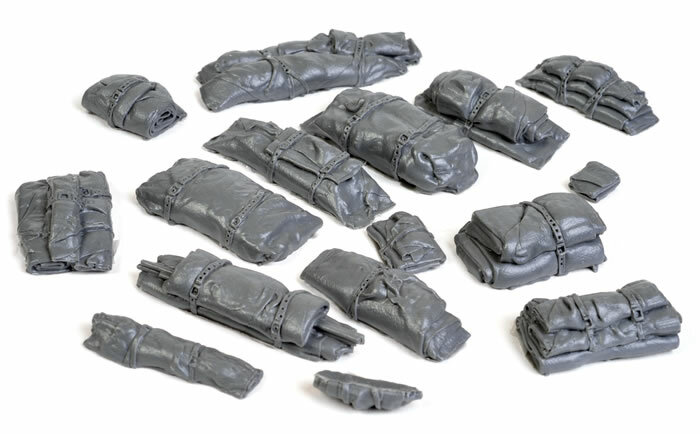 Most of the packs are cast with a flat tarp as the bottom layer. You may therefore want to hollow out the area underneath so that the piece of stowage does not float above hand holds, hinges and other structural elements on the deck of your tank or vehicle.